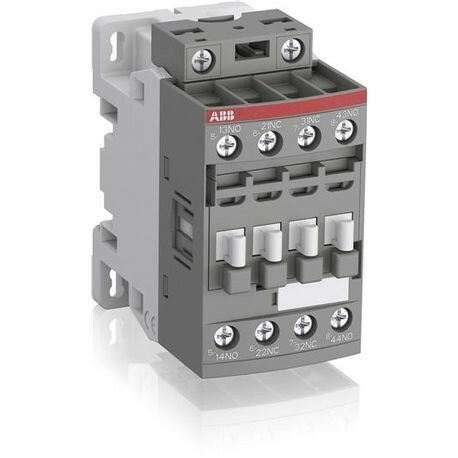 NFZ contactor relays are used for switching auxiliary and control circuits. NFZ contactor relays include an electronic coil interface accepting a wide control voltage Uc min. Uc max. Only four coils cover control voltages between 24...250 V 50/60 Hz or 12...250 V DC. NF contactor relays can manage large control voltage variations. 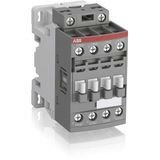 One coil can be used for different control voltages used worldwide without any coil change NFZ contactor relays allow direct control by PLC-output 24 V DC 500 mA and obtain a reduced holding coil consumption. NFZ contactor relays withstand short voltage dips and voltage sags (SEMI F47-0706 compliance) between 24...250 V 50/60 Hz NFZ contactor relays have built-in surge protection and do not require additional surge suppressors Poles: 4-pole contactor relays (mechanically-linked auxiliary contacts compliant with Annex L of IEC 60947-5-1 and including the Mechanically Linked symbol on the contactor relay side) Control Circuit: AC or DC operated - Accessories: a wide range of Accessories is available.